Ayurveda with Susan Weis-Bohlen. In this week's edition of Tranquility du Jour, we discuss Ayurveda in everyday life including the Dinacharya—the daily routine and her new book, Ayurveda Beginner's Guide: Essential Principles and Practices to Balance and Heal Naturally. SUSAN WEIS-BOHLEN is a full-time Ayurvedic consultant, cooking teacher, meditation teacher, and leader of sacred site tours. 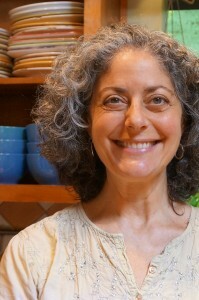 Susan’s personal journey into the Ayurvedic lifestyle began when she came across the Ayurvedic cleansing technique of panchakarma. What began as the release of damaging toxins and personal difficulties eventually grew into an impassioned vocation. She has since studied with the best teachers of Ayurveda, both in the US and in India. Susan knows exactly how challenging it can be to come to Ayurveda as a beginner and has dedicated her life to sharing the fruits of her studies with students all over the world. Susan grew up in Baltimore, Maryland. After attending the University of Missouri and the University of Maryland (1985) she moved to Israel where she lived in Tel Aviv and worked as a journalist for the Jerusalem Post and as a unit publicist on TV shows and films made in Israel. Susan also worked for Israel Cable TV during its infancy and helped to establish the film channel. In 1992 Susan moved to Washington DC to work at the Israeli Embassy in the media and press office. For the next three years she worked with the government promoting the Oslo Peace Accords, witnessing the signing of peace treaties with Palestine and Jordon, with both the Bush and Clinton administrations. After moving back to the US for good in 1997 Susan found real joy in working at two bookstores, Bibelot and Barnes & Noble, organizing events, community groups, book clubs and workshops. After that wonderful experience, Susan worked in PR and marketing while planning to open her own bookstore. After a visit to The Bodhi Tree in West Hollywood (Los Angeles) she decided to open a new age bookstore based on their model. Susan opened Breathe Books in Baltimore in 2004. Since she became a vegetarian at 16 and had been practicing yoga and meditation in her late 20s Susan wanted to promote this lifestyle to others. She ran her bookstore for 10 years, eventually adding a vegetarian cafe, teaching and consulting on Ayurveda, hosting authors from around the globe, and leading weekly meditation classes. In 2014 Susan decided to close Breathe Books and concertante fully on her Ayurvedic practice. Continuing her love for world-travel, Susan leads meditation, yoga and Ayurveda tours to sacred sites around the world. Susan lives with her husband Larry (who she met in her bookstore in 2008) and their three dogs, Ella, Shadow and Joonie, in the woods in Reisterstown, Maryland just outside of Baltimore City.